Explore 600 years of Scottish History with a visit to one of Scotland's finest country houses. Within the house, actors in period costume re-create the 1825 Kitchen, Printer's and Clockmaker's Workshops of the early 19th Century, the Georgian Garden and a General Store. Permanent exhibitions are William Forbes's Falkirk from the days of the Jacobites to the coming of the railways and the Story of Callendar House from the 11th Century to the present day. There are two temporary exhibition galleries, a History Research Centre, Gift Shop and Georgian Teashop. Dating from the 14th century, Callendar House is set in the nationally-important historic designed landscape of Callendar Park. The Park has a long history dating all the way back to the construction of the Antonine Wall in 142AD. The estate has been gradually developed since the 12th century, eventually coming into public ownership in the mid-1960s. The House's permanent displays are The Story of Callendar House, a history covering the 11th to the 19th centuries, The Antonine Wall, Rome's Northern Frontier, and Falkirk Crucible of Revolution 1750-1850, which tells how the local area was transformed during the first century of the industrial era. In the restored 1825 Kitchen, costumed interpreters create an exciting interactive experience with samples of early 19th century food providing added taste to stories of working life in a large household. 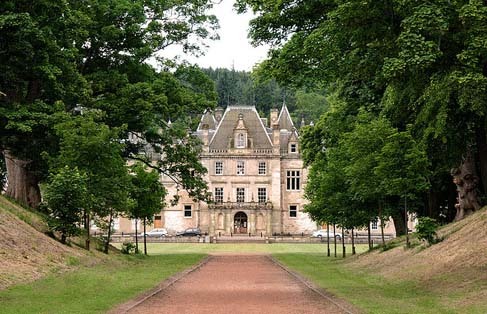 Covering over 170 acres and housing the magnificent Callendar House, Callendar Park is the is the finest park within the Falkirk area and a great place for a day out. 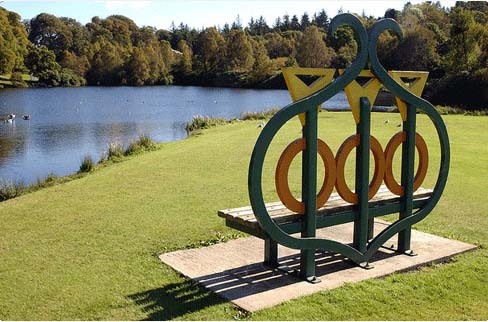 Callendar Park has something for everyone, whether you're looking for an action packed day or a place to take the children for a picnic and a play. The Park is a historically-important designed landscape, listed in The Inventory of Gardens and Designed Landscapes in Scotland. The woodlands and gardens host a number of interesting historical features including an Arboretum, Ornamental Gardens and a family Mausoleum. The Arboretum areas to the south of Callendar House are home to exotic trees, Rhododendron and other shrubs. Forrest was a Falkirk-born plant hunter who spent years exploring China at the turn of last century. He found thousands of exotic and rare species that were brought back to the UK for planting and further study. Various plants including Rhododendrons, Maple (Acer forrestii) and Pieris (Pieris forrestii 'Wakehurst') are now found thriving in the Park. Callendar Wood is managed by the Forestry Commission and occupies the southern half of the estate. It is a Listed Scottish Wildlife Trust and Wildlife Site and has a number of interesting historical artefacts and a series of way marked trails and bridleways. These amenities are seasonal and operate from April - September. The Kiosk is open daily for hot and cold snacks and drinks.